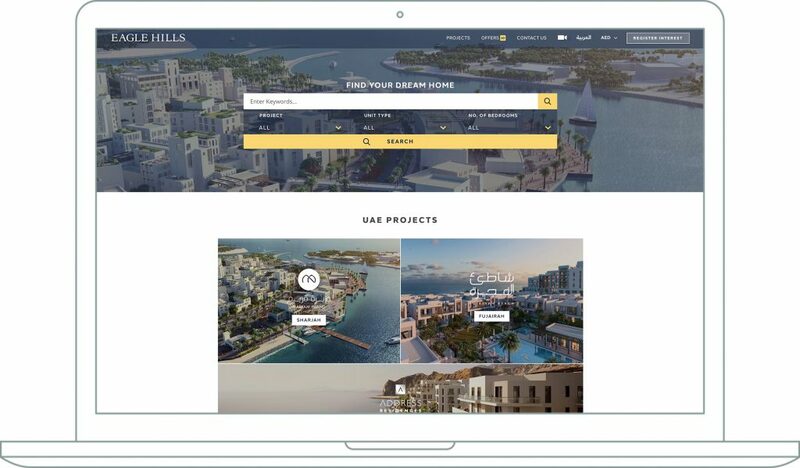 Based in the heart of the Middle Eastern region, luxury property developer Eagle Hills has partnered with independent global creative agency Crowd to transform its website to a more SEO and user-friendly digital platform. Eagle Hills asked Crowd to develop a fully content managed solution that provides the best usability for users to navigate, explore and register their interests. The website is a robust, sales funnel that generates leads. Tom Berne, Studio Director at Crowd Dubai, says: “The new website had to act as a hub for Eagle Hills’ development projects throughout the world – showcasing plans and rendered photography of in-development properties.